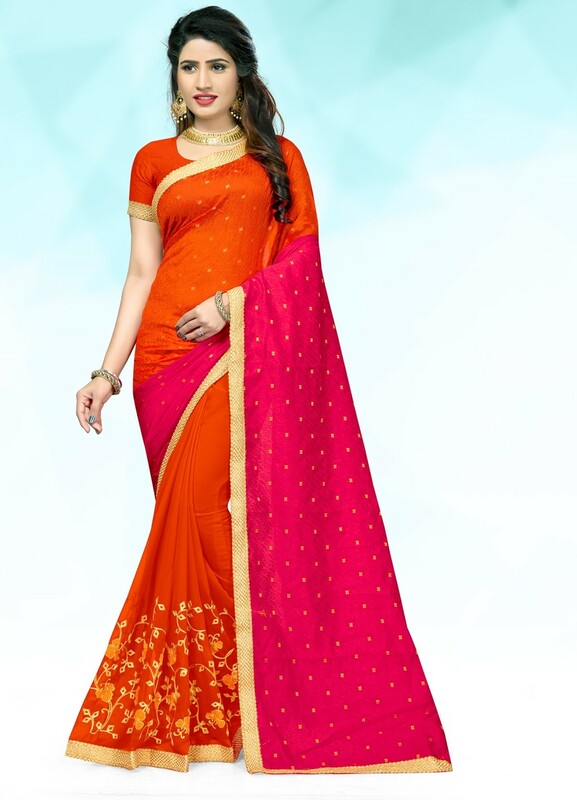 Orange & Dark Pink Embroidered Georgette Saree. Beautifully crafted in silk, our delicate orange & dark pink saree is paired with a matching unstitched blouse. Orange & Dark Pink Embroidered Georgette Saree. Gorgeous orange & dark pink saree is outlined with golden zari border.